This project was supported by a grant from the National Institute of Mental Health [1K01MH079945-01; PI: S. W. White]. We thank the participants in this study, their parents, and their teachers. Joshi, G., Petty, C., Wozniak, J., Henin, A., Fried, R., Galdo, M. et al. (2010). The heavy burden of psychiatric comorbidity in youth with autism spectrum disorders: A large comparative study of a psychiatrically referred population. 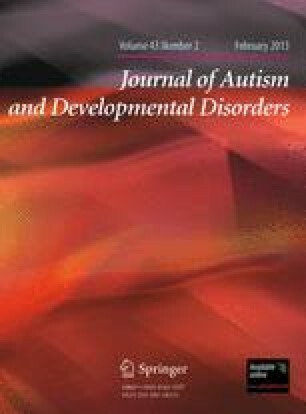 Journal of Autism & Developmental Disorders. Advance online publication. doi: 10.1007/s10803-010-0996-9. White, S.W., Albano, A., Johnson, C., Kasari, C., Ollendick, T., Klin, A., et al. (2010a). Development of a cognitive-behavioral intervention program to treat anxiety and social deficits in teens with high-functioning autism. Clinical Child and Family Psychology Review, 13(1), 77–90. doi: 10.1007/s10567-009-0062-3. White, S. W., Schry, A. R., & Maddox, B. M. (2012). Brief report: The assessment of anxiety in high-functioning adolescents with autism spectrum disorder. Journal of Autism and Developmental Disorders. Advance online publication. doi: 10.1007/s10803-011-1353-3.